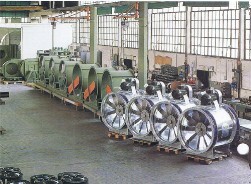 The staff at Ferrari Fan Technology UK are experienced personnel with many years of knowledge and know-how in ventilation and air movement industries. 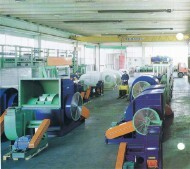 We have working knowledge of contracting as well as ventilation and process air movement design. We pride ourselves in the ability not just to select the fan for you but to work with our clients in design of their systems to ensure the maximum performance and long life of the fan provided. We are able to define the best selection for clients given the most important selection criteria! We provide a 24 month warranty with our fans. You can rest assured with peace of mind by extending the warranty to 3 or 5 years, please refer to terms and conditions of sale or request details. Should you require an evaluation of your requirements on-site or a maintenance visit we would be happy to assist and arrange this for you. If the fan is installed outside the UK then we can arrange for one of our local experts to make the visit on your behalf, please contact us for further details. Our factory is fully capable of providing performance testing of your specific fans prior to dispatch, witness testing can also be arranged, please contact us for further details.